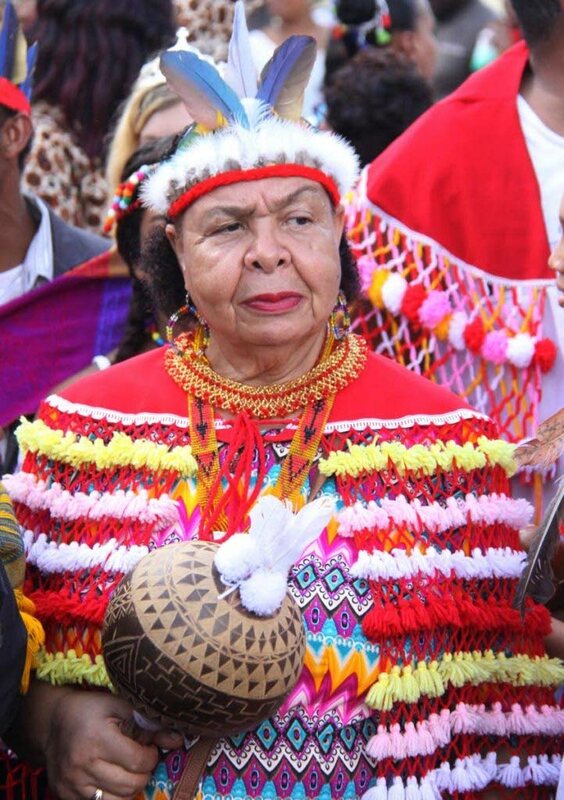 The late Carib Queen Jennifer Cassar will be given her last rites Friday after the Santa Rosa First Peoples community completes their indigenous ritual at the Santa Rosa Cemetery. Cassar, who succeeded Valentina Medina as queen in August 2011, died last week Thursday after ailing for several weeks. It was reported that she died from blood clots in the leg following surgery. Carib chief Ricardo Bharath said no successor has been named since the reigning queen had the first option to name that person, but in Cassar's case she did not have the chance to do so. After 40 days of mourning, the community will begin the process to discuss a succesor and six months later, an election will take place. Her casket will be open for public viewing at the Arima Town Hall on Friday from 10 am to 12 noon and a funeral service will be at the Santa Rosa RC Church. A full Amerindian ritual service will be conducted at the Santa Rosa Cemetery "where her body would be offered back to the elements from which she came." Indigenous members from Guyana and Surname are expected to attend. Reply to "Regional Amerindians for Cassar’s funeral"